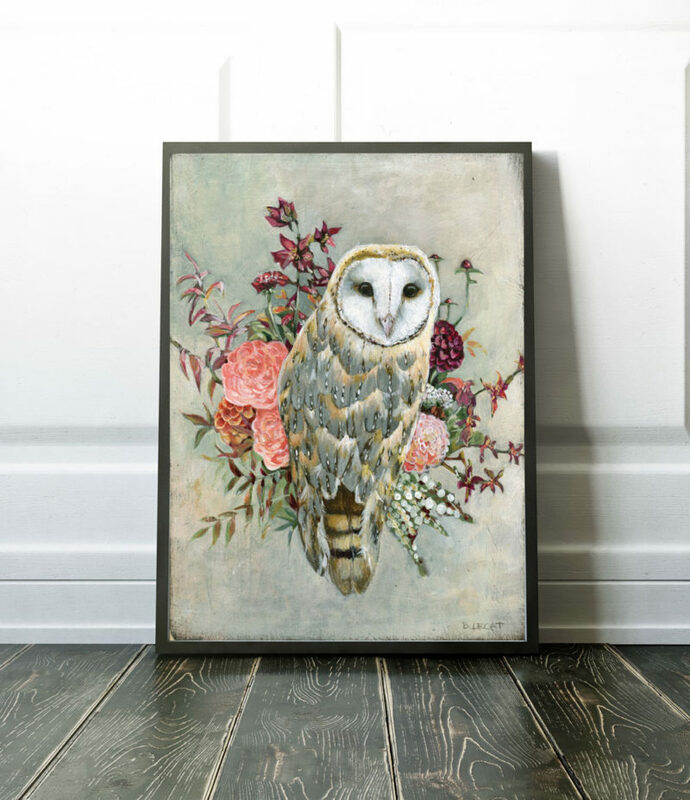 This lovely boho style barn owl and flowers print makes a lovely addition to a bedroom, bathroom, or living room. 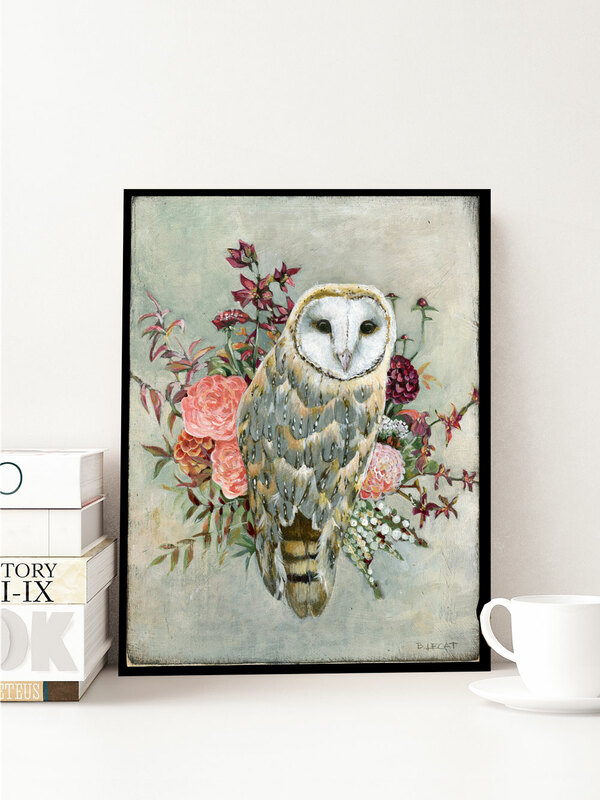 This print features rich colors and comes ready to hang or give as a gift. 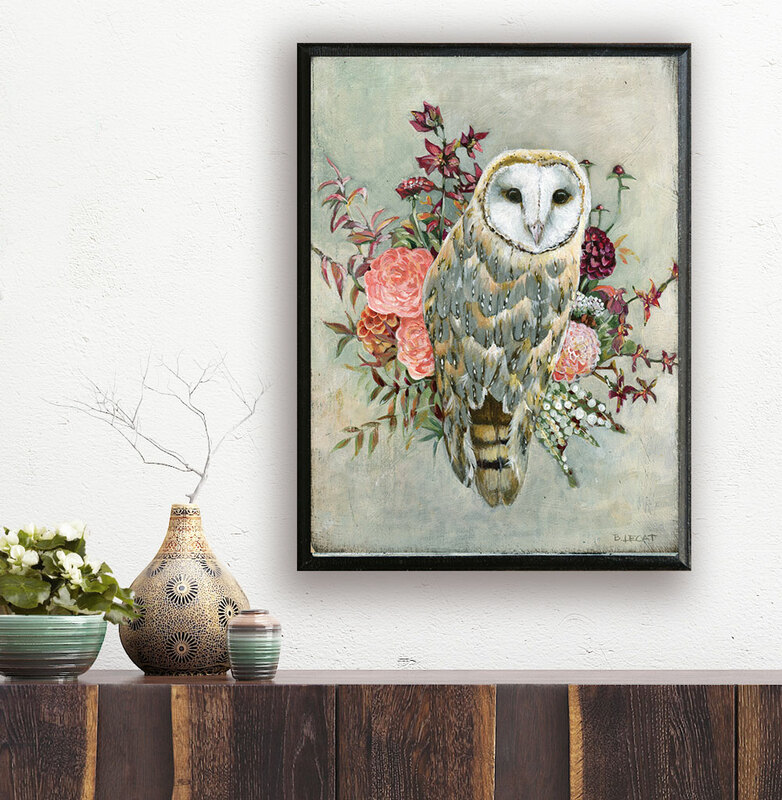 HOW IT’S MADE: This print of my original barn owl painting is printed on museum quality matte paper with archival ink and mounted on a solid wood panel. 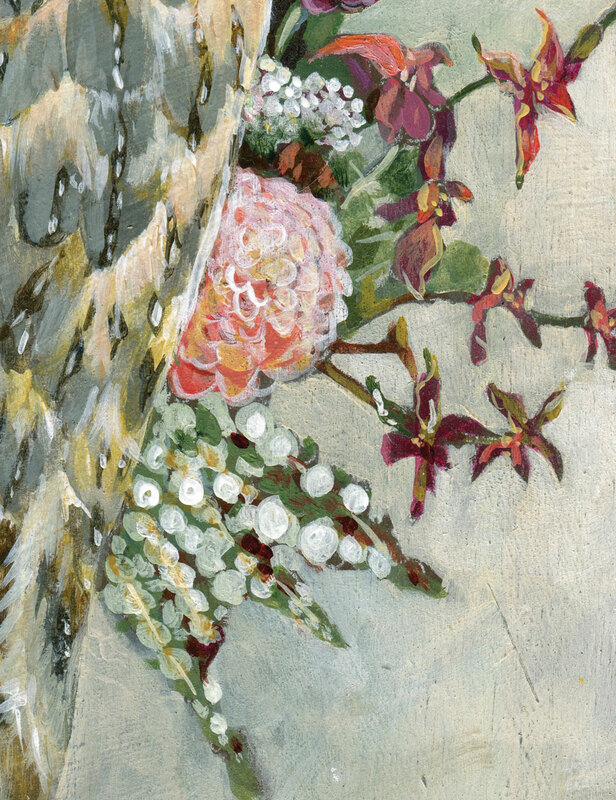 PACKAGING: Your artwork will come carefully wrapped in tissue and packaged in a sturdy cardboard tube. 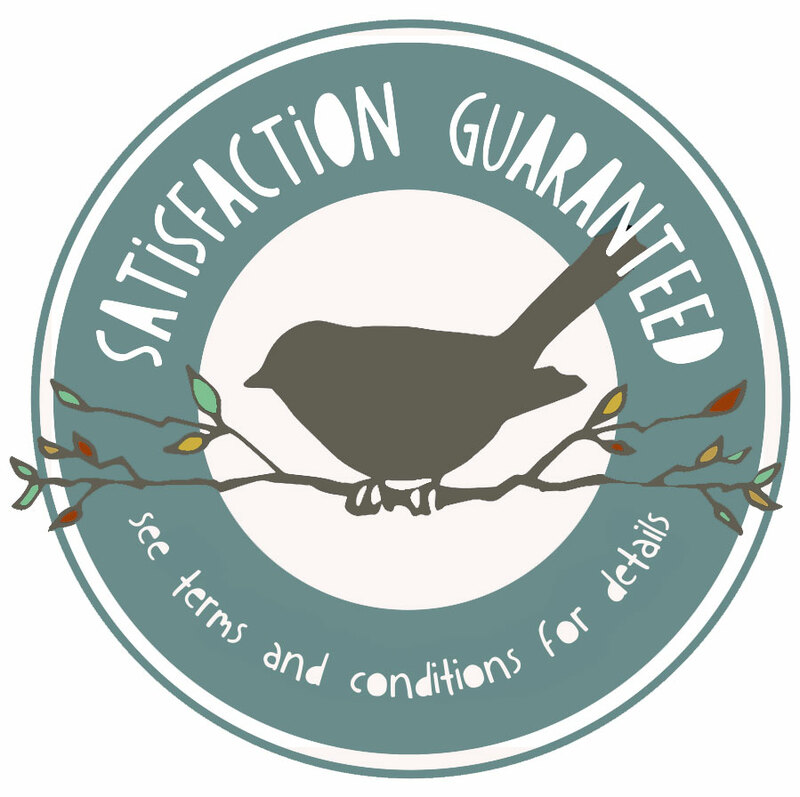 PROCESSING: Current processing time is 3-5 business days. COLORS: Multiple colors are featured; beige, gold, burgundy, coral, green, and turquoise. 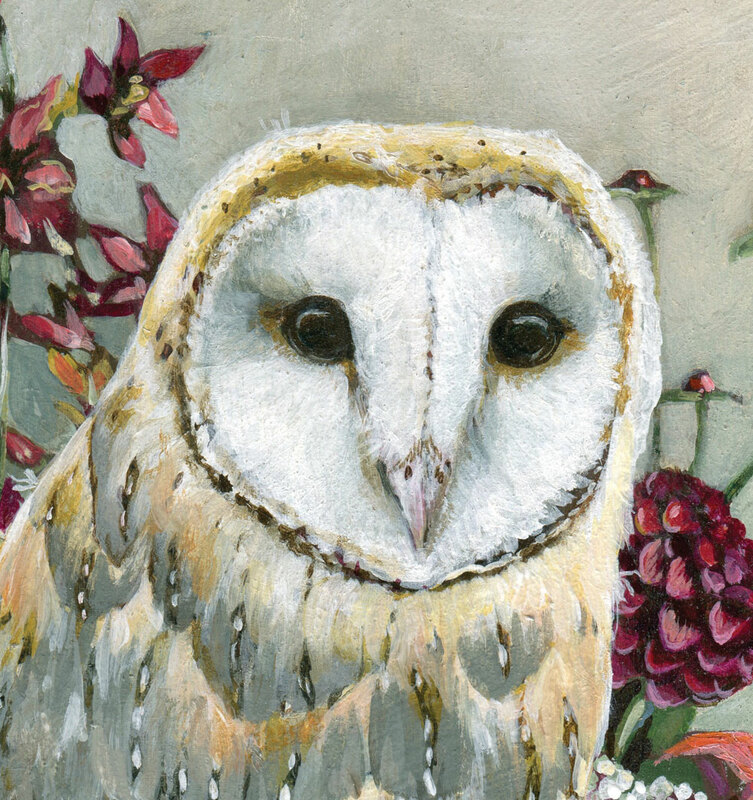 IMAGE: This artwork features a barn owl and flowers on an off-white background. 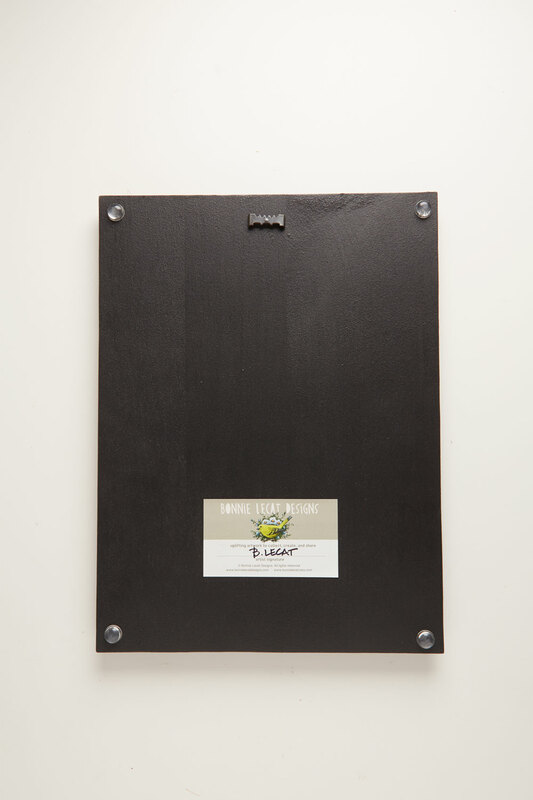 DISPLAY: This print comes mounted on a wooden panel, ready to hang or give as a gift. This image is also available as a POSTER PRINT in three large sizes that you can add to your own frame. 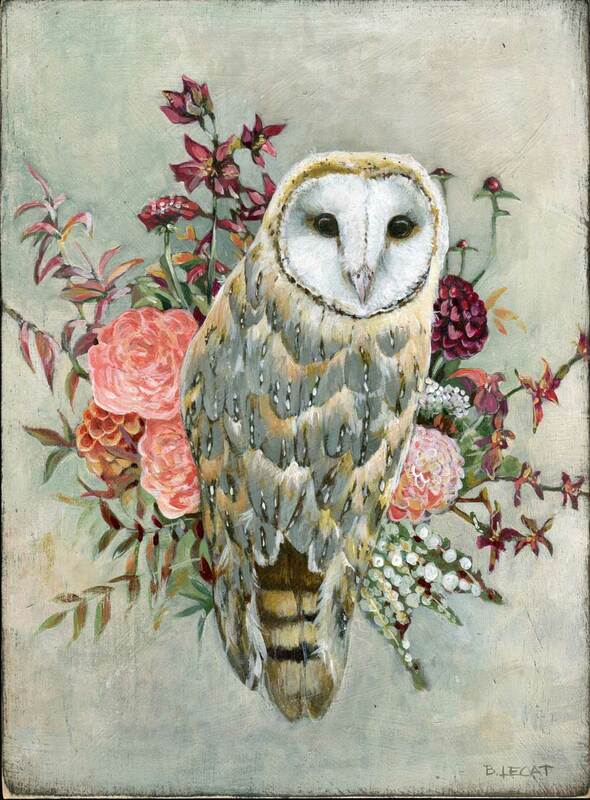 Such a sweet painting. 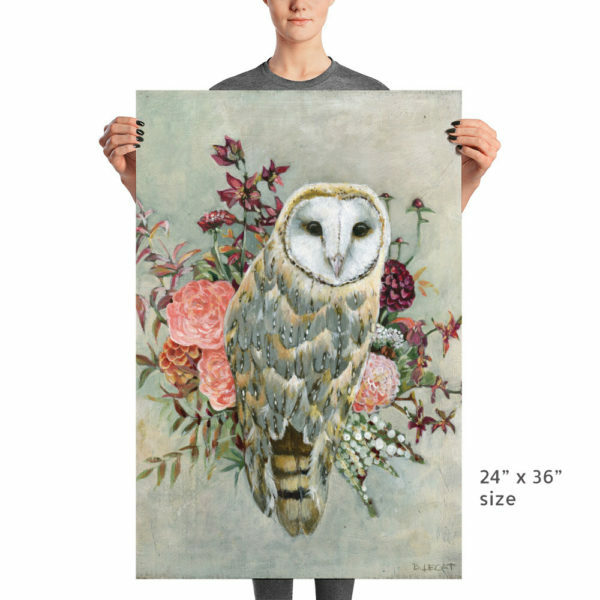 If you like owls, you’ll love this.